Van Hull Estates, Winnipeg - We invite everyone to visit our open house at 404-25 Van Hull Way on May 15 from 2:00 PM to 4:00 PM. Van Hull Estates, Winnipeg - Announcing a price reduction on 404-25 Van Hull Way, a 974 sq. ft., 2 bath, 2 bdrm single story. Now $295,000 - . Van Hull Estates, Winnipeg - 2 parking stalls! 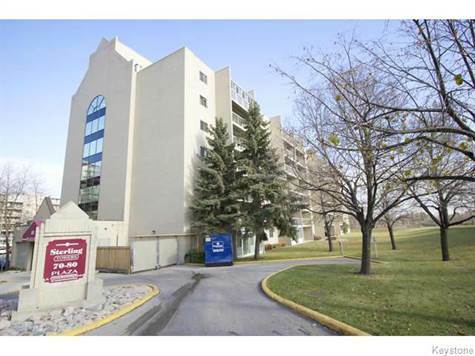 Beautiful 974 sq ft open concept 2 bedroom & 2 full bathroom condo in South St Vital. Prime LOCATION at the corner of St. Mary's Rd and Van Hull Way, only minutes from perimeter, shopping centers, restaurants and more! Features beautiful chefs kitchen with stunning quartz counter top, under mount sink, beautiful cabinetry and walking pantry. Master bedroom incl spacious walking closet and en-suite with max height glass pane doors for shower, and built in linen closet. Unit features laminate flooring in main living space, carpet in bedrooms, and vinyl in bathrooms and laundry room. Balcony is an OVERSIZE 6ft x 20ft with mechanical room located outside on balcony. Building features great community room, outdoor patio, and gym. Unit comes with 2 PARKING SPACES. Under ground parking with BONUS above ground parking as well as a spacious storage locker! Pet friendly, with some restrictions. Possession date flexible! Don't miss out on this beautiful home! Call now at 204-229-0884!!! East Fort Garry, Fort Garry - Announcing a price reduction on 2505-80 plaza Dr, a 947 sq. ft., 1 bath, 2 bdrm single story. Now $210,000 - . East Fort Garry, Fort Garry - Announcing a price reduction on 2505-80 plaza Dr, a 947 sq. ft., 1 bath, 2 bdrm single story. Now $214,900 - . 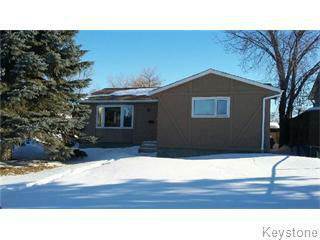 Crescentwood, Winnipeg - Announcing a price reduction on 995 Jessie ave, a 874 sq. ft., 1 bath, 2 bdrm single story. Now $280,000 - . Van Hull Estates, Winnipeg - Announcing a price reduction on 404-25 Van Hull Way, a 974 sq. ft., 2 bath, 2 bdrm single story. Now $299,900 - . Richmond Lakes, Winnipeg - Announcing a price reduction on 167 Dorge Drive, a 1,158 sq. ft., 2 bath, 4 bdrm bungalow. Now $259,000 - . Diamond in the Rough. Home Needs TLC! Richmond Lakes, Winnipeg - ***Amazing home for Investors or Handyman Purchasers*** Great Bungalow needing TLC at 1158 Sq FT with 4 bedroom, 2 full baths Home right in the heart of Grandmont Park! Walking distance to all levels of school,bus stops,playgrounds,golf courses and 10 minutes to University Of Manitoba! since 2005 recent upgrades to home Including Newer Windows throughout home, High Efficiency Furnace, hot water tank,Central Air Conditioner, and Roof! Also Includes an over-sized double detached garage!! Richmond Lakes, Winnipeg - Announcing a price reduction on 167 Dorge Drive, a 1,158 sq. ft., 2 bath, 4 bdrm bungalow. Now $269,000 - .